Shopping for a new Dodge in Wenatchee or the surrounding Yakima and Ellensburg areas? Then take a look at the 121 new vehicles for sale at Town Chrysler Jeep Dodge Ram! We have a wide variety of models in stock, from the popular RAM 1500 to the off-road classic Wrangler. When you’re ready to take your Wenatchee restaurant outing to the next level, stop by Town Chrysler Jeep Dodge Ram to pursue the vehicle of your dreams in Wenatchee, WA! 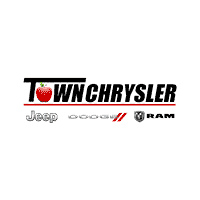 Why Choose Town Chrysler Jeep Dodge Ram for a New Jeep in Wenatchee? When you’re ready to start driving a new Chrysler or Dodge 3-row SUV in Wenatchee, our sales team is standing by to walk you through your favorite model, and they’ll also help you behind the wheel of the model that best suits your budget and Moses Lake driving needs. Need help figuring out what model that might be? Compare the Cherokee vs. Grand Cherokee to see which SUV best suits you. You can also contact us to get started – or use our vehicle finder service to locate your specific make and model.